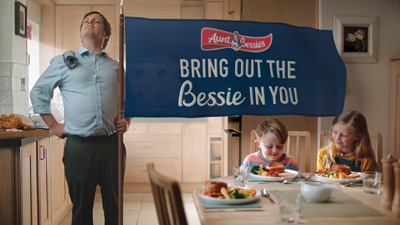 Aunt Bessie’s has invested £5 million in its biggest-ever marketing campaign and a new strategic direction to promote the roast dinner. Midweek consumption has driven a 4.2% increase in the roast dinner, led by millennials. The new ad campaign reflects this consumer base with a more modern feel for its creative. 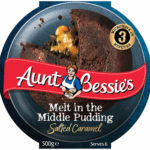 The campaign is supported by the recent redesign for the Aunt Bessie’s website and new packaging launching in the new year. Retailers also have the opportunity to win a Roast & Ramble for their local community, catered for by Aunt Bessie’s. To enter, retailers must send a picture message featuring their in-store freezer displaying Aunt Bessie’s core range of 12 Golden Yorkshires, 700g Roasties and Honey Glazed Parsnips to (0794) 411 3972 or group.auntbessies@cirkle.com by 23 November. The winning store will host a ramble on 16 December. There’s also NPD joining the brand, with the launch of a more premium frozen hot dessert designed for larger gatherings. 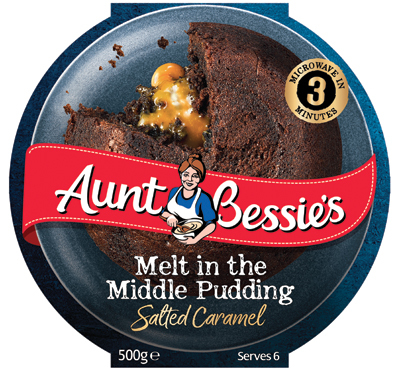 Available in Salted Caramel and Belgian Chocolate Chip variants, the 500g puddings have an rsp of £2.50–£3.